Anna Gore Shepherd was born in 1835 at Athens, Brandord Co., PA. She was the daughter of Job Shepherd and Abigail Sage Ellsworth. Anna Gore Shepherd married Major Eliphalet Ariel McWhorter. Anna Gore Shepherd died in 1901. She was buried at Oak Grove Cemetery, St. Marys, Camden Co., GA.
William and Polly A. were enumerated in the 1880 Buffalo, Clay Co., WV, federal census. He ws a farmer agae 32, she was 25. Children in the household were Llewellyn 8, James H. 7, Daniel W. 2, and Sherman M. 3 months. William H. and Polly were again in Buffalo in the 1900 federal census. He was 47, she was 44. Children in the house were Daniel W. 22, Sherman 20, Levi B. 17, Mary A. 15, Hester J. 13, William H. 7, and Martha R. 4. Elizabeth Ellen McWhorter was born on 24 September 1857 at Montgomery, Montgomery Co., AL. She was the daughter of Major Eliphalet Ariel McWhorter and Anna Gore Shepherd. Elizabeth Ellen McWhorter died on 26 November 1933 at Savannah, Chatham Co, GA, at age 76. She was buried at Oak Grove Cemetery, St. Marys, Camden Co., GA.
Cornelia Shepard McWhorter was born on 12 August 1876 at St. Marys, Camden Co., GA. She was the daughter of Major Eliphalet Ariel McWhorter and Anna Gore Shepherd. Cornelia Shepard McWhorter died on 22 December 1885 at St. Marys, Camden Co., GA, at age 9. She was buried at Oak Grove Cemetery, St. Marys, Camden Co., GA.
Daniel W. and Venice J. were enumerated in the 1910 Buffalo, Clay Co. WV, federal census. He was a farmer, age 32, she was 35. Children in the household were Venia A. 8, Hammond M. 4, Herndon J. 2, and Lydia A. 8 months. Daniel and Verna Holcomb were enumerated in the 1920 Birch, Braxton Co., WV, federal census. He was a farmer, age 41, she was 35.Children in the household were Verna 16, Hasymon 14, Herndon 12, Alice 10, Glada 8, Lucy 5, Charley 2 years 9 months, and Delsie 8 months. Hattie Lorene Corpening was born on 1 January 1887 at Clarksburg, WV. She married William Lloyd Browning, son of Silas H. Browning and Elizabeth Powell (Lizzie) Simms. Llewellyn and Mary L. were enumerated in the 1900 Buffalo, Clay Co., WV, federal census. He was a farmer age 26, she was 30. They had been married 6 years and had 3 children, all living. They were William L. 4, Norman W. 2, and Mark 1 month. Llewelyn and Mary Louisa were 2nd cousins. They were again enumerated in Buffalo in the 1910 census. He was 36, she was 41. Children in the household were William L. 14, Norman W. 12, Mark C. 10, Ora E. 7, Dorothy F. 5, and Sherman M. 2. Llewellyn's brother Sherman was enumerated next door. [S182] Social Security Death Index (on-line), Ancestry.com, SSDI, Ancestry.com, SSAN 234-48-7242. James Henry Holcombe was born on 1 September 1875 at Clay Co., WV.1 He was the son of William Hugh Holcombe and Mary Ann Chapman.1 James Henry Holcombe died on 18 September 1960 at Fairmont, Marion Co., WV, at age 85. Herndon James Holcombe was born on 17 February 1908 at Clay County, WV. He was the son of Daniel Webster Holcombe and Venia Idella Hardaway. Herndon James Holcombe died in June 1986 at Goldsboro, Wayne Co., NC, at age 78. Elizabeth Harrison was born circa 1751.1 She was the daughter of Benjamin Harrison V and Elizabeth Bassett.1 Elizabeth Harrison died; dsp. Haymond Monroe Holcombe was born on 5 February 1906 at WV. He was the son of Daniel Webster Holcombe and Venia Idella Hardaway. Haymond Monroe Holcombe died in July 1963 at age 57. Benjamin Harrison III was the son of Benjamin Harrison II. Ann Butler Moore married Charles Carter, son of John Carter and Elizabeth Hill. Charles Lewis Bankhead married Anne Cary Randolph, daughter of Thomas Mann Randolph Jr. and Martha Jefferson, in September 1808. Elizabeth Hill married John Carter, son of Robert Carter and Judith Armistead. 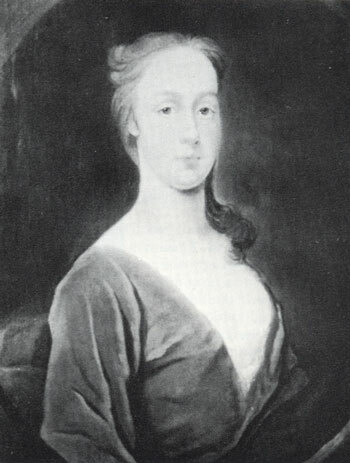 Elizabeth Hill was born in 1703. Judith Armistead was born in 1665. She married Robert Carter, son of John Carter and Sarah Ludlow, in 1688. Judith Armistead died in 1699. Austin Wightman married Viola (?) Austin Wightman was born on 17 June 1901 at Lafayette, Medina Co., OH. He was the son of Otto Leon Wightman and Mertie Lura Fosier. Charles, lawyer and U.S. attorney general, was born at "Leesylvania," in Prince William County, Virginia, the son of planter, burgess, and revolutionary politician Henry Lee (1727-1787) and Lucy Grymes. A younger brother of Henry ("Light-Horse Harry") Lee (1756-1818), Charles Lee followed in his sibling's footsteps and attended Princeton College (then called the College of New Jersey), where he graduated with honors in 1775. Somewhat aimless after graduation, he read law in Philadelphia in 1779; the next year he briefly held the post of secretary to the Board of Treasury. Lee was licensed to practice law at the Virginia bar in 1781 and commenced his profession in the local county courts of northern Virginia. Following the Revolution he expanded his practice into the General Court of Virginia and qualified before the Virginia Supreme Court of Appeals in 1785.During this period Lee gathered brief reports of cases decided by the judges of the superior courts, though his reports were not published until the twentieth century. Lee held the post of naval officer of the Potomac River District during the Revolution, an appointment he obtained at least as early as 1779. Although deputies carried out the customs inspection duties during Lee's absence in Philadelphia, he apparently retained the position until the creation of the federal government in 1789, when President George Washington appointed him customs collector at Alexandria. The same year Lee wed Anne Lucinda Lee, the daughter of Richard Henry Lee; the couple had six children. In the spring of 1793, Lee resigned his federal post to devote more attention to his law practice in partnership with his younger brother, Edmund Jennings Lee. Also that year he gained election to the Virginia House of Delegates from Fairfax County, where he served for two sessions. In November 1795 President Washington again called Lee into government service to succeed the deceased William Bradford (1755-1795) as attorney general of the United States. Lee was not Washington's first choice for the post, but he served the president ably and was continued in office by John Adams (1735-1826). A staunch Federalist and vigorous opponent of conciliation with the French, Lee enforced the Alien and Sedition Acts and remained faithful to the president in the tumultuous final days of Adams's tenure. Upon the departure of Timothy Pickering from Adams's cabinet in May 1800, Lee briefly acted as secretary of state and had the pleasure of forwarding a commission to his friend John Marshall as Pickering's permanent successor. Adams named Lee (as one of his notorious "midnight appointments") to one of the federal judgeships created by the Judiciary Act of 1801, but the Virginian lost the post when Congress repealed the act the following year. Lee then settled in Alexandria to practice law. He was counsel for William Marbury in Marbury v.Madison. He also defended Samuel Chase, in his impeachment trial before the U.S. Senate in 1805; and Aaron Burr (1756-1836), in his trial for treason in Richmond in 1807. While practicing law, Lee speculated widely in land on either side of Virginia's Blue Ridge Mountains and in military bounty lands in Ohio. In 1809, five years after his wife's death, Lee married Margaret Christian Scott Peyton of Fauquier County, Virginia, a widow. They had three children. About 1813 he left Alexandria for "Leeton Forest," his country estate in Fauquier County, where he died two years later. Henry Shepard McWhorter was born on 5 October 1859 at Montgomery, Montgomery Co., AL. He was the son of Major Eliphalet Ariel McWhorter and Anna Gore Shepherd. Henry Shepard McWhorter died on 19 April 1931 at Savannah, Chatham Co, GA, at age 71. He was buried at Oak Grove Cemetery, St. Marys, Camden Co., GA.
Shuril ''Reb'' Lee Holcomb went home to be with the Lord on Tuesday, January 6, 2009, from York Hospital. He was the husband of Ruth Chronister Holcomb, his wife of 47 years. Born July 14, 1941, in Kingwood, W.Va., he was the son of the late Charles Ray and Mary Frances Bailey Holcomb. In addition to his wife, Mr. Holcomb is survived by four sons, Richard and wife, Rebecca of York, John and wife, Michelle of Florida, Steven and wife, Jennifer of Lewisberry, and Mark and wife, Holly of York; nine grandchildren, Andrew Holcomb of Florida, Ashley Baker, and Nicole, Erica, Mark Jr., Tara, Tori, Luke, and Vincent Holcomb, all of York; six great-grandchildren, Day'jah, Shannon, Skyler Eugene, Kole, Justice, and Skyler May, all of York; siblings, Roy Holcomb of York, Ruthann Seager of Yoe, and Susan Wharton of Manchester; and numerous nieces and nephews. He was preceded in death by brothers, Ronzell, Glen, Roy, and Billy Ray Holcomb; and sisters, Deloris Jean Holcomb and Linda Ferree. Shuril worked for L.J. Allen, AGS, and Penn Tire, all of York. He enjoyed spending time with his family, playing Phase 10, sitting on his front porch talking to friends and neighbors, going to the casino, and spending time with his beloved cat, Bonnie Blue. A special thank you to all the staff of the Apple Hill Cancer Center and to all the doctors and nurses for their special care during his time of illness. Memorial services will be held at 6 p.m. Friday at The Salvation Army Worship Center, 124 S. Duke St., York, with Captain Johnson officiating. In lieu of flowers, contributions may be made to the Cystic Fibrosis Foundation, 55 S. Progress Ave., Harrisburg, PA 17109. The John H. Danner Funeral Home, York, is in charge of arrangements. [S182] Social Security Death Index (on-line), Ancestry.com, SSDI, Ancestry.com, SSAN 210-32-5706. [S182] Social Security Death Index (on-line), Ancestry.com, SSDI, Ancestry.com, SSAN 283-10-2223. Lucy's maternal uncle was Peyton Randolph-the brother-in-law of Congressman Benjamin Harrison V; her paternal aunt was the mother of "Lighthorse Harry" Lee. Child of Lucy Grymes and Thomas Nelson Jr.
[S182] Social Security Death Index (on-line), Ancestry.com, SSDI, Ancestry.com, SSAN 280-09-8925. Glen Holcombe was the son of Charles Ray Holcombe and Mary Frances Bailey. Hannah Jones married William Floyd in 1760. Hannah Jones died on 16 May 1781. Roy Holcombe was the son of Charles Ray Holcombe and Mary Frances Bailey. Ella Hathaway was born in 1884. She was the daughter of Murray Lindley Hathaway and Emma Liza English. Billy Ray Holcombe was the son of Charles Ray Holcombe and Mary Frances Bailey.